On a beautiful spring day, May 7, 1923, Polly Carmichael was born to Daniel Carmichael and Estella Blossom Ford Carmichael. She departed this life on Sunday, January 13, 2019 peacefully at her home. She was the fifth child of seven children (5 girls and 2 boys). 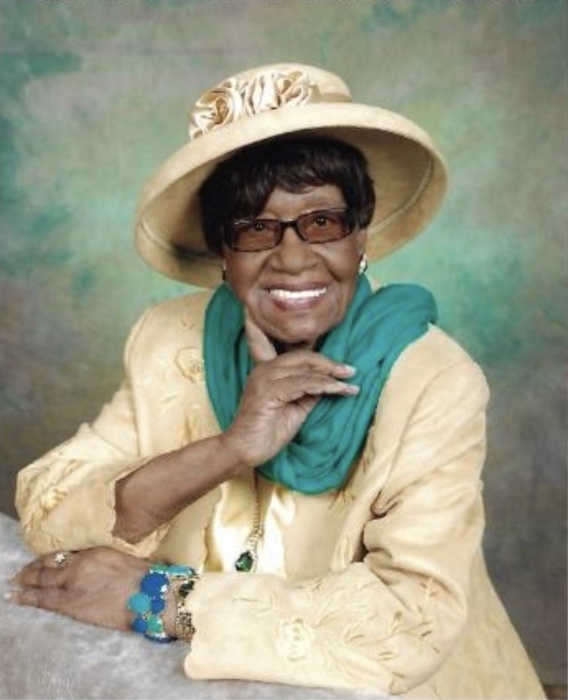 Polly graduated from Palmetto High School in Mullins, South Carolina in 1942.She was a former member of Williams Chapel AME Church – Nichols, South Carolina. She married the Late Benjamin A. Jenkins and joined Union AME Church. She was the mother of ten children (4 girls and 6 boys – 1daughter and 2 sons decreased). She served as an usher, Senior Choir Member (President), Steward, Class Leader, and Treasurer of the Missionary Society. She was a 50-year member of St. Mark Chapter#57 Order of the Eastern and United Christian Sisterhood. Polly Ma (as she was affectionately called) leaves to cherish fond memories - 3 daughters Sandria Brown, Mary J. Potter (Charles, Sr.), and Gerlene J. Brigman (Charles,Sr.) 4 sons Mitchell Jenkins (Peggy), Charlie, Sr. (Pernell),Robert Jenkins, and Ronald Jenkins, Sr. (Cathy); 16Grandchildren, 23 Great-Grandchildren, and 1 Great-Great Grandchild – 1 Sister-in-law Grace Ford Belon – 2 Special Nieces Eva Lee and Cleopatra Nance, 3 special friends Sister Elsie Ford, Sister Eunice (Tina) Johnson, and Sister Ruth Hunter, and a host of nieces, nephews, cousins, and friends.